This schematic appears in the handbook that accompanied the1983 Landsat Short Course lecture on “TM Data Processing and Correction” that was given by Jeff Dozier of UCSB. To continually map the Earth’s surface using Landsat data, an entirely new projection had to be created. 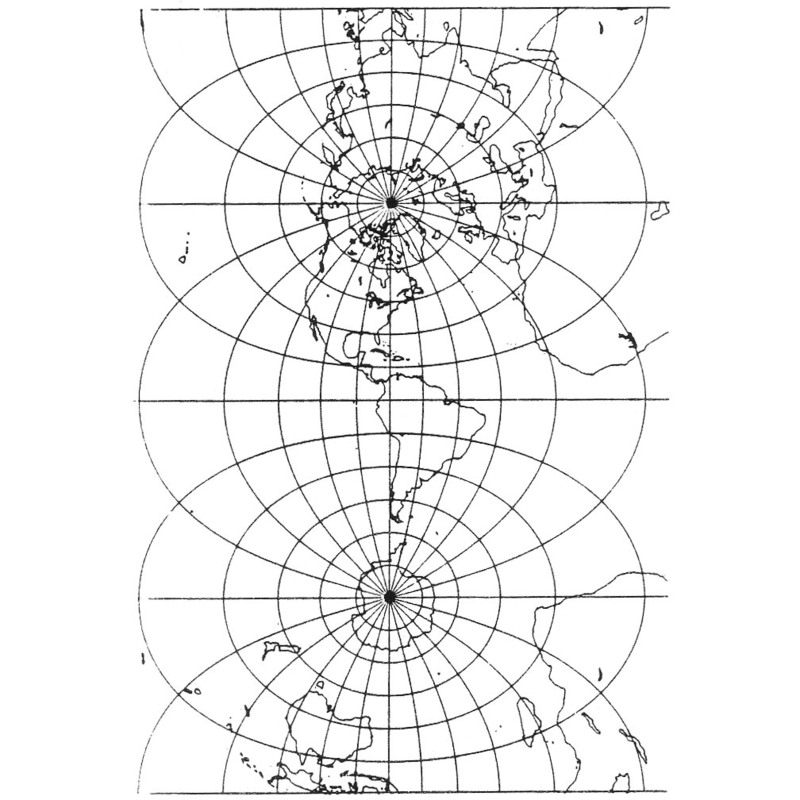 This new projection was created by John Parr Snyder and is known as the Space Oblique Mercator (SOM) projection. This projection has been referred to as, “one of the most complex projections ever devised” by Library of Congress cartographic historian, John W. Hessler. John Parr Snyder began his calculations for the SOM projection using the most basic form of the equations for the Mercator projection and then creating intermediate transformation equations that took into account the various movements of the Landsat satellite’s ground track as the satellite orbited the Earth.The figure shown here is an example of one of the basic Mercator map projections used by the U.S. Geological Survey. 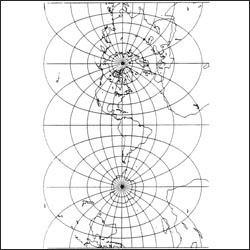 To learn more about the creation of the SOM projection, refer to “Projecting Time: John Parr Snyder and the Development of the Space Oblique Mercator Projection” by John W. Hessler.